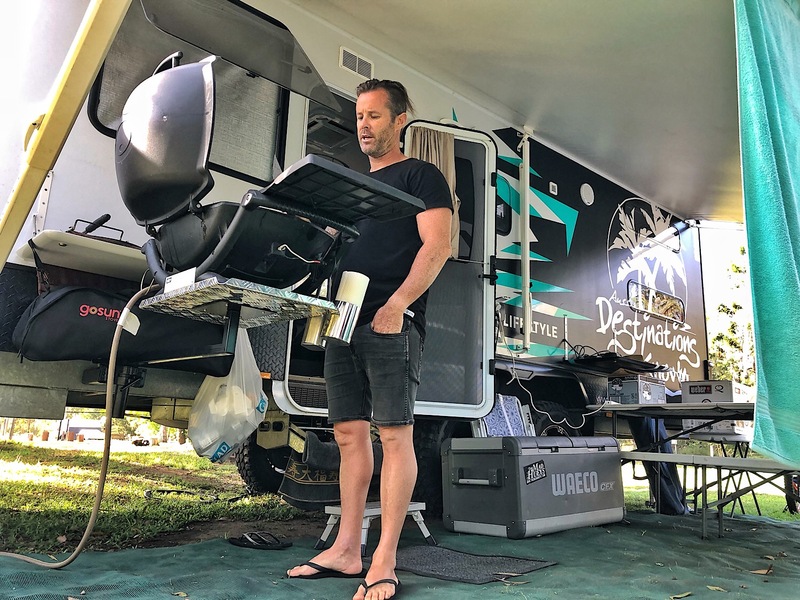 Designed for camping and 4WD enthusiasts, this is the must-have caravan, camping and 4WD accessory. We have a mount near the tow bar of our 4WD and one on the side of the van – and it’s a really handy little gadget! No need to lug the bulky weber BBQ trolley around anymore. The Universal Drawbar Mount makes it simple pop the BBQ onto your car, van or trailers drawbar or rear bar to create a dedicated space for your BBQ without drilling or welding. You can easily swing the BBQ out of the way to free up space in your camp or under the awning due to its light weight and portable design. The drawbar mount and arm can be left on your frame and needs only to be removed the top/tray when towing. We leave our van mount on all the time. 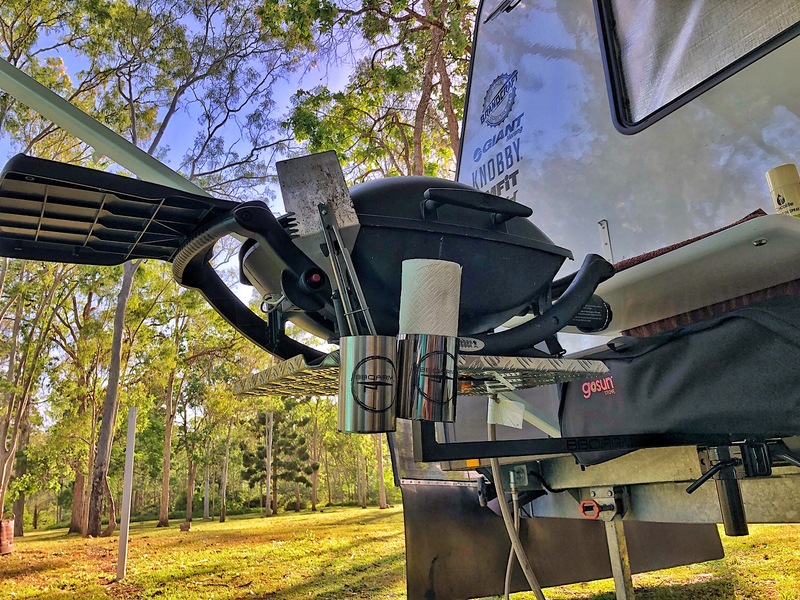 With the new Vehicle Tow-Hitch Mount you can now mount your BBQARM to your Hayman Reese style tow-hitch receiver enabling you to take your BBQ wherever you go. We have partnered up with the guys at BBQARM to bring you this amazing product at a discounted price. 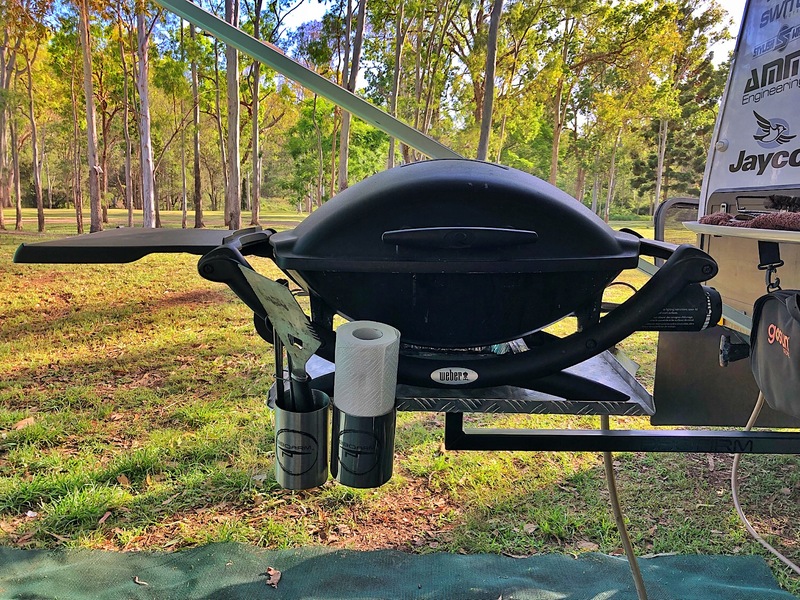 Yep – head over to https://bbqarm.com.au to grab yours .. and be sure to add ADUCREW into the DISCOUNT CODE box in the checkout.